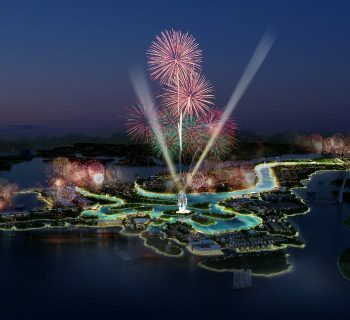 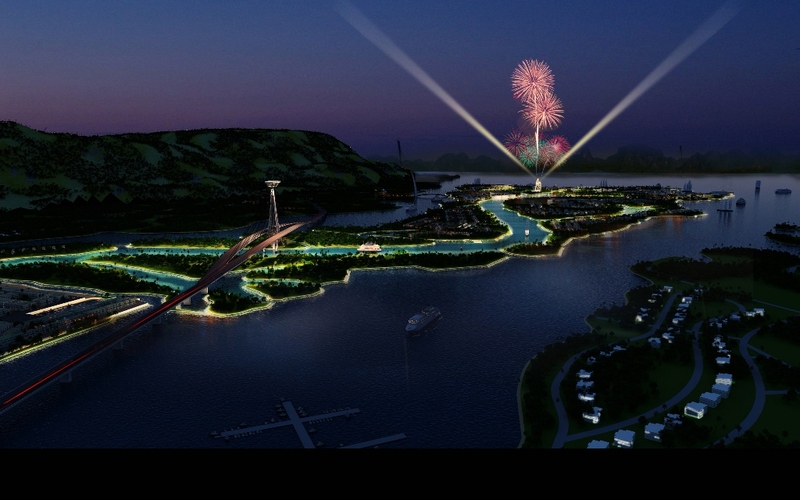 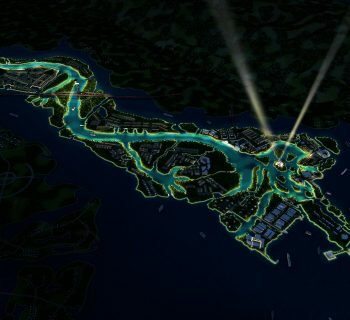 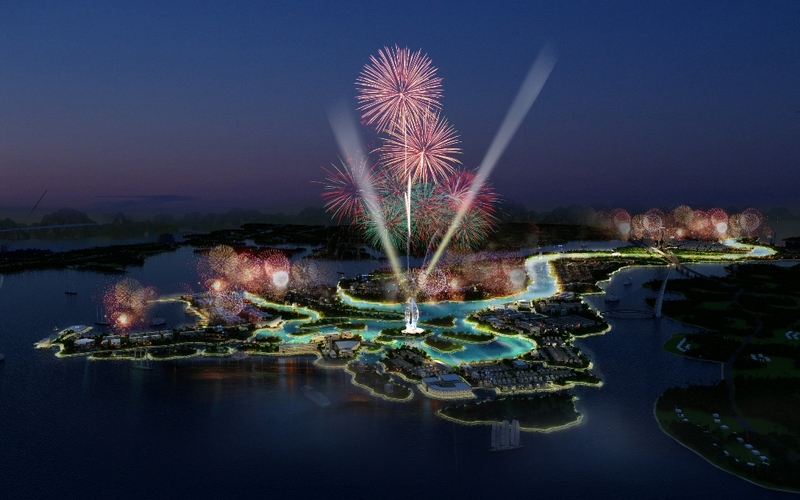 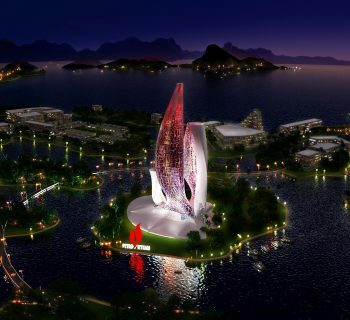 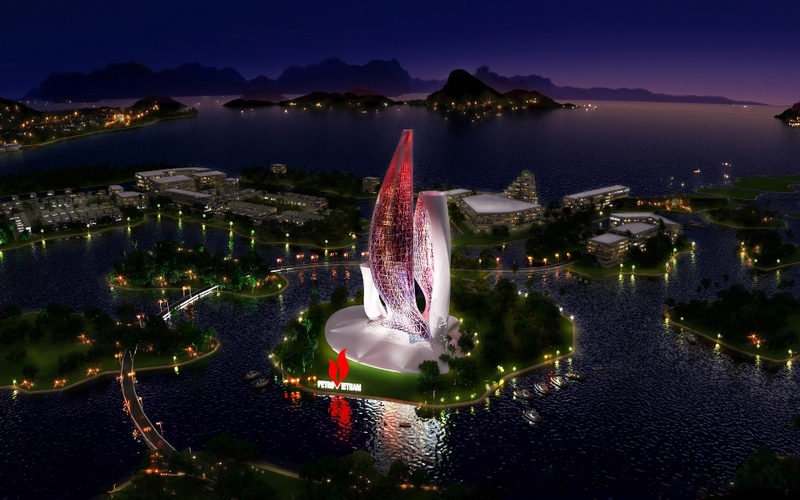 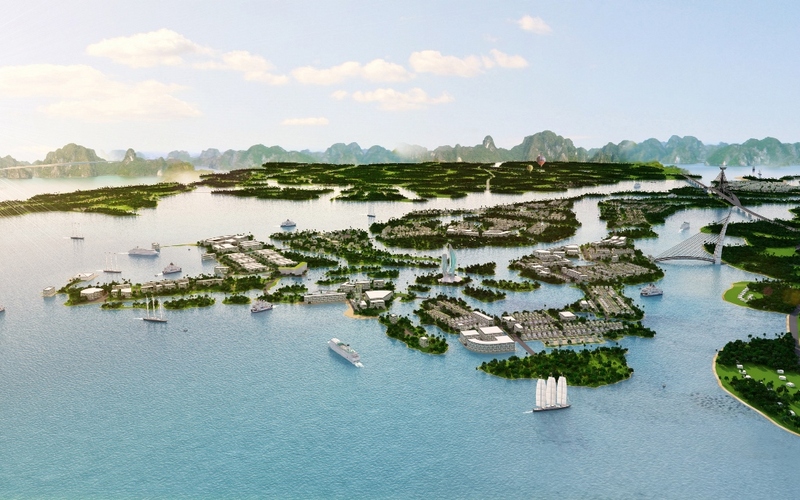 2011 Competition – Ha Long Dao Viet eco-tourism city was composed by artificial islands, shaped in the form of Vietnam or a supposed hiding Dragon (coming from the legend, “Ha Long” means a descending dragon in Vietnamese). 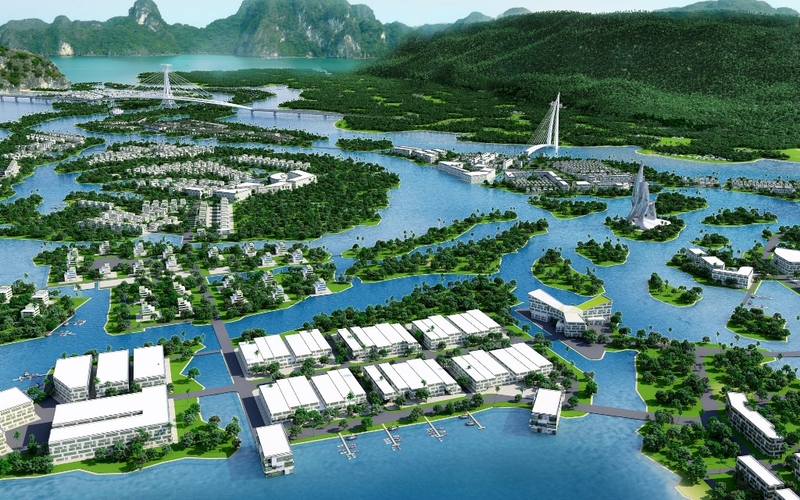 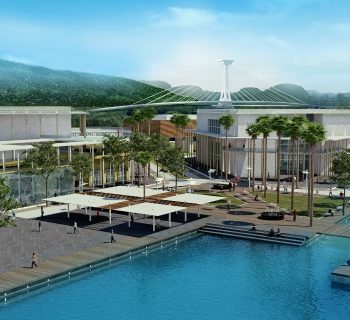 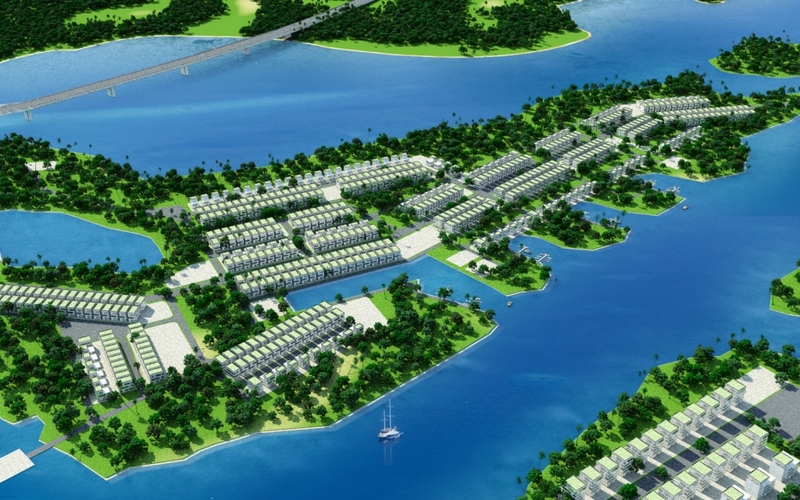 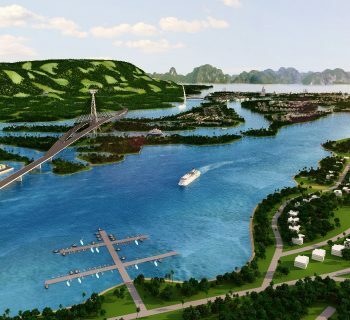 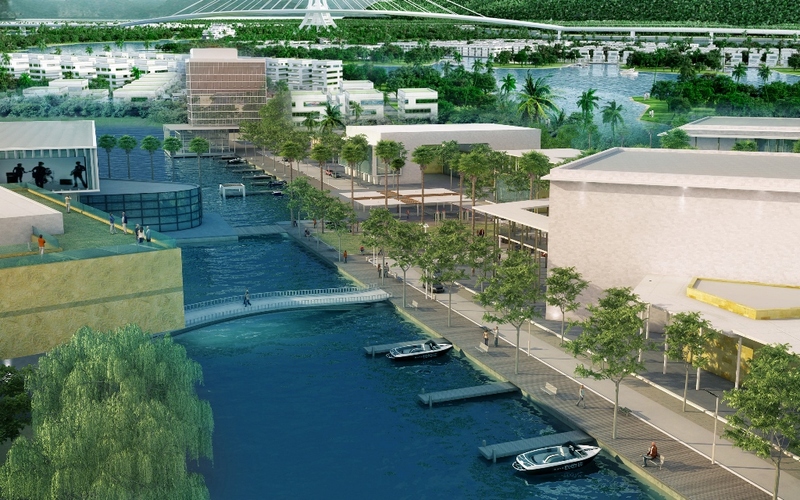 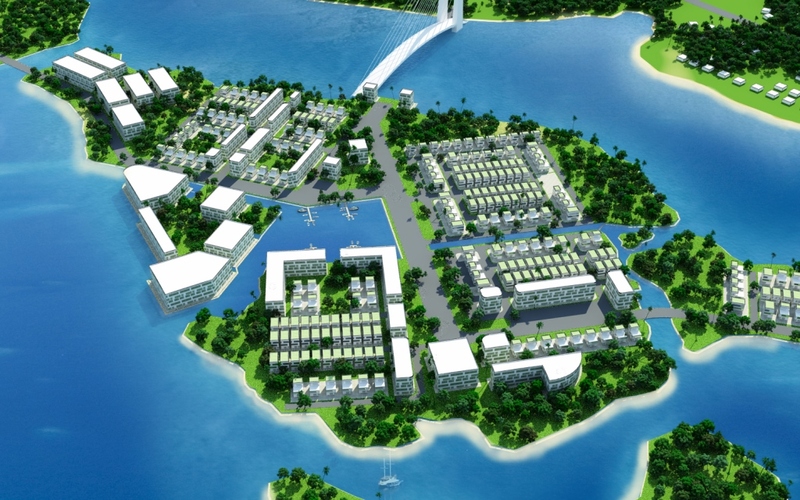 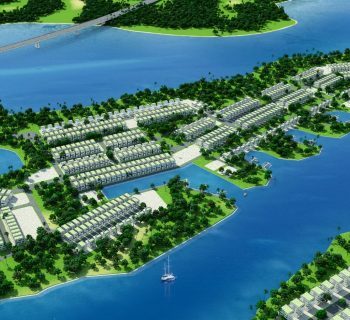 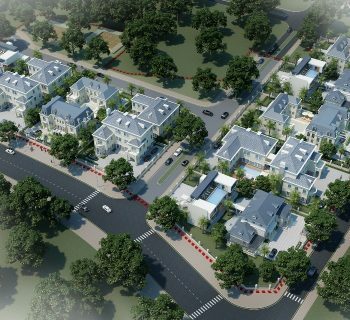 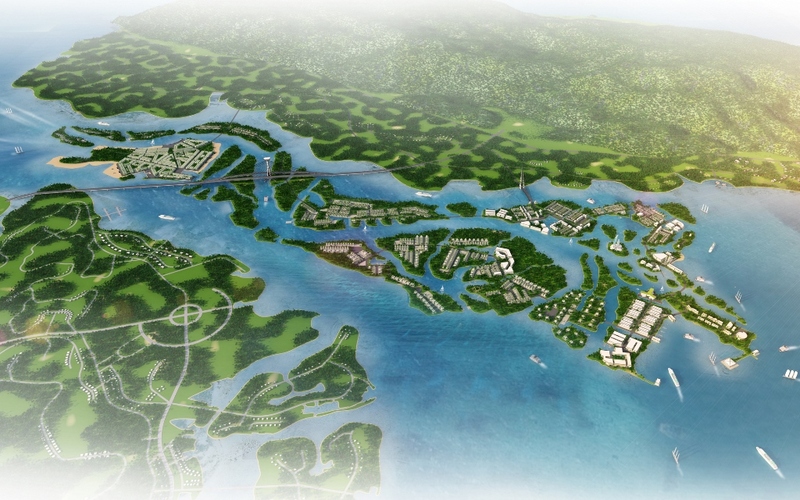 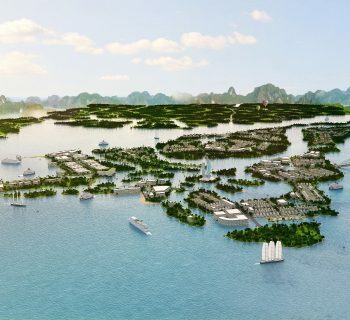 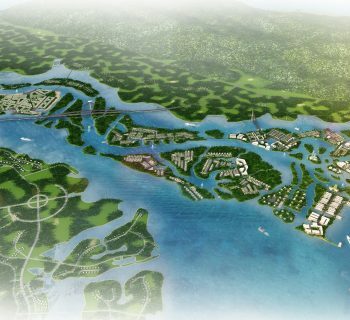 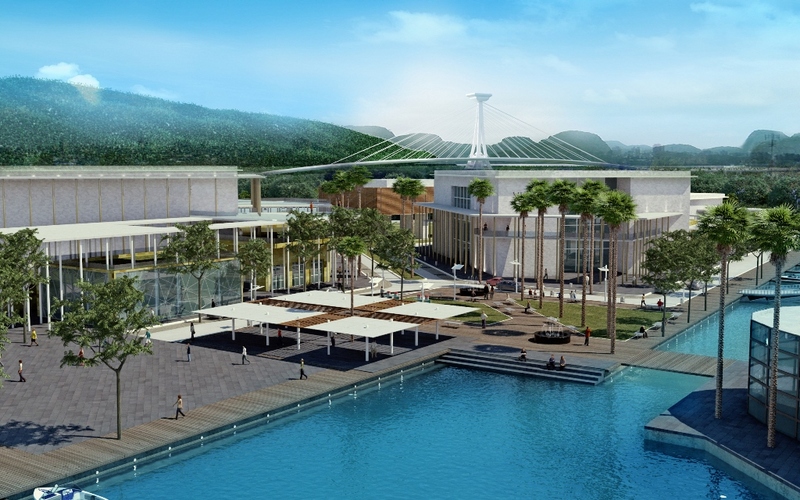 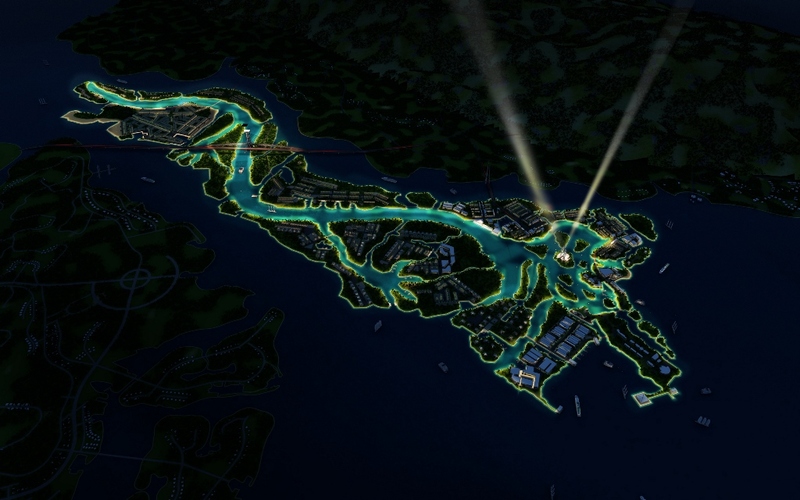 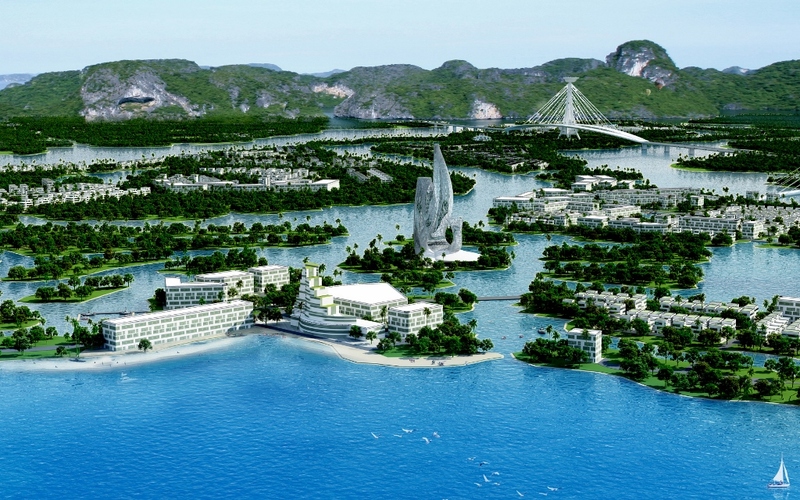 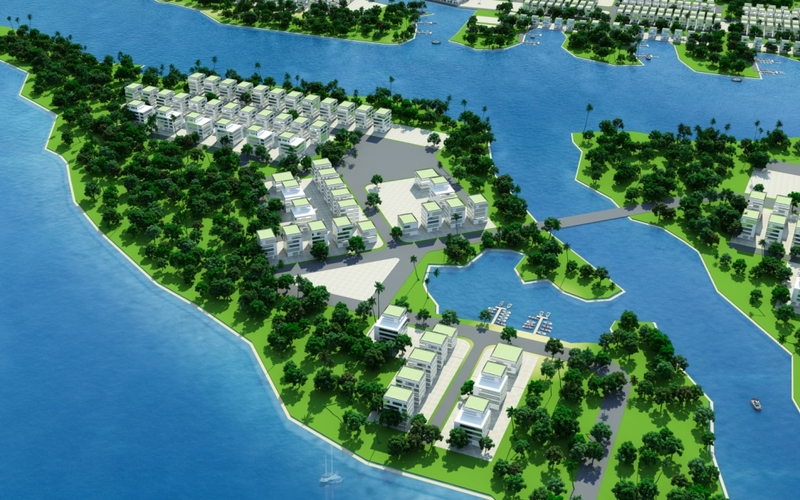 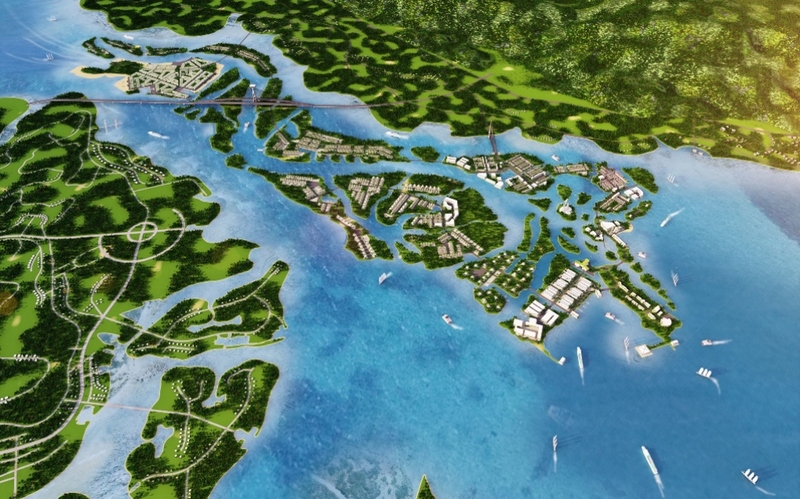 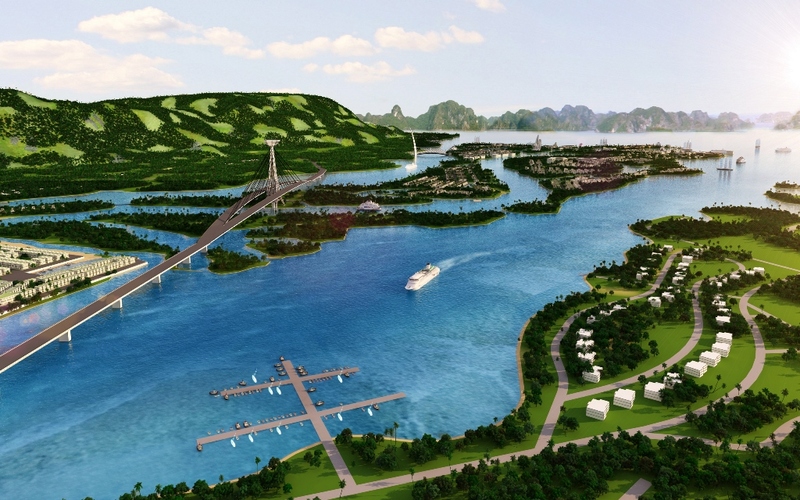 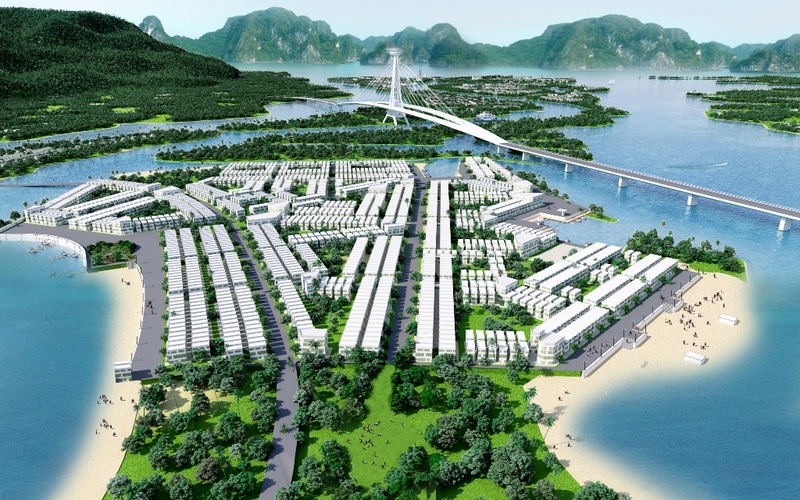 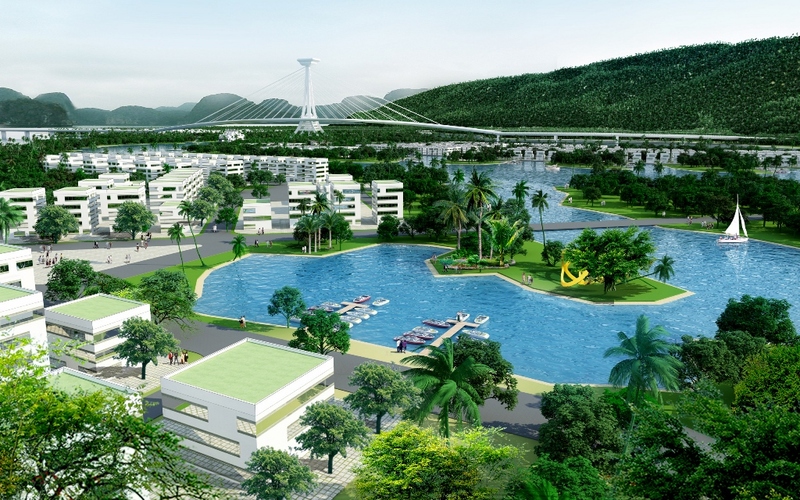 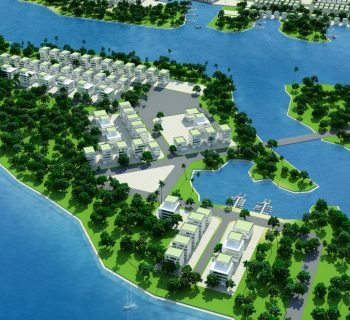 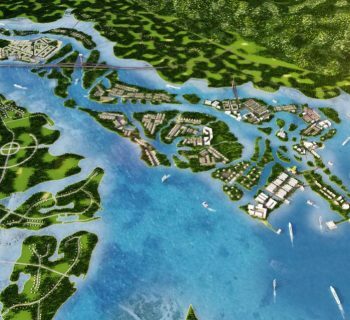 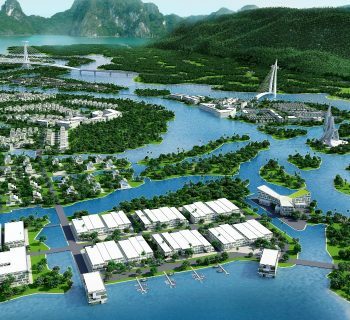 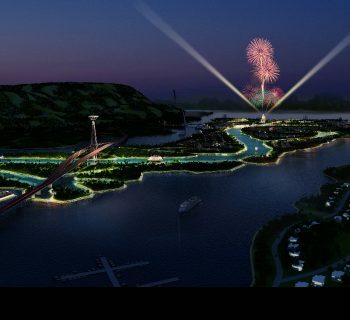 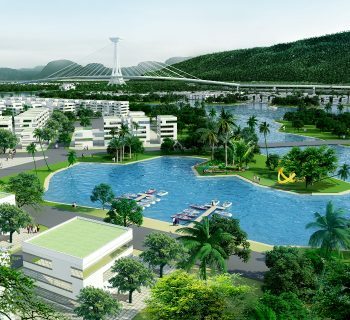 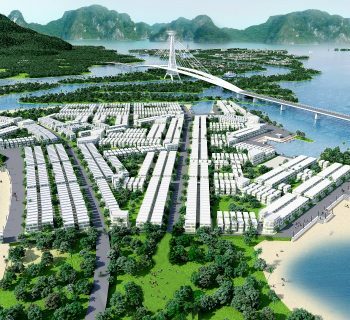 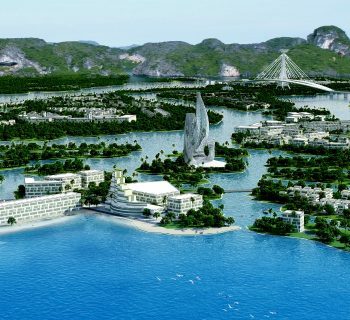 It is a new self-sufficient city, dedicated for the economic and tourism development of the famous Ha Long bay. 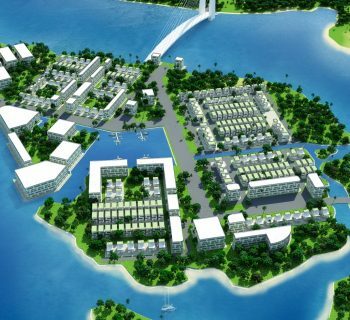 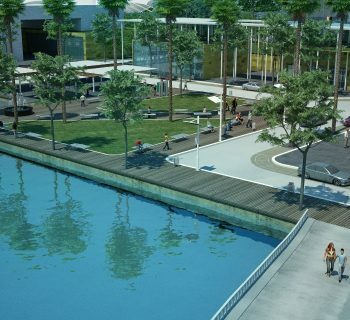 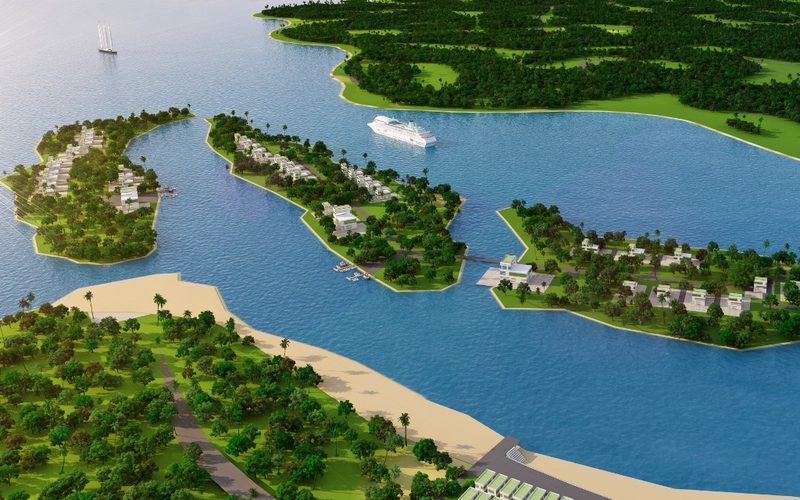 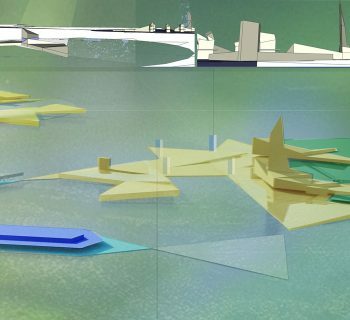 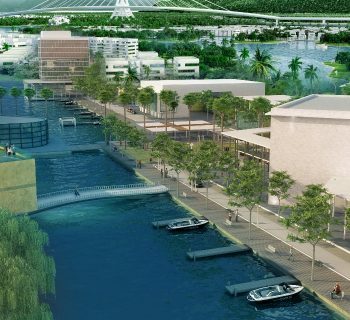 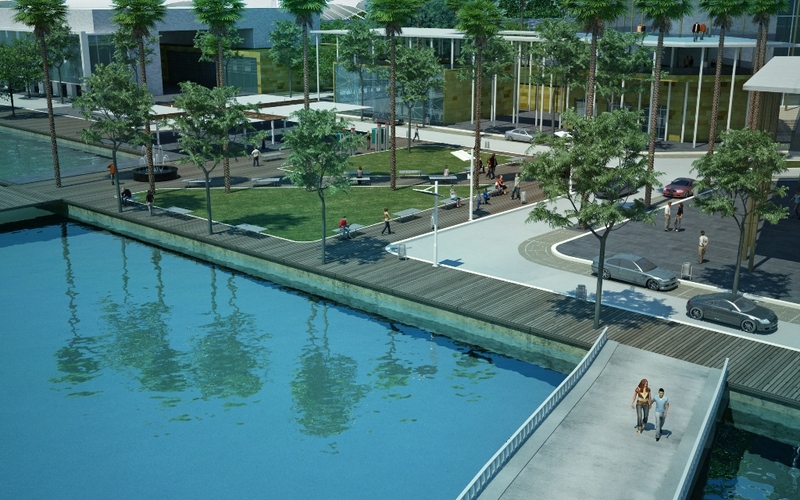 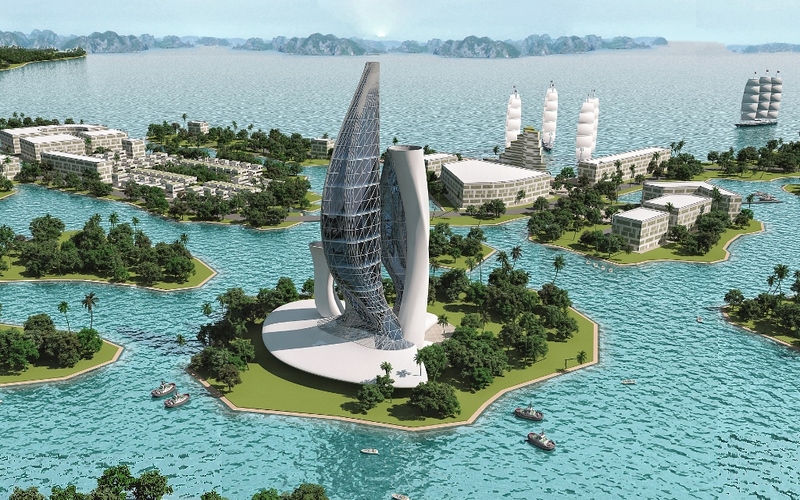 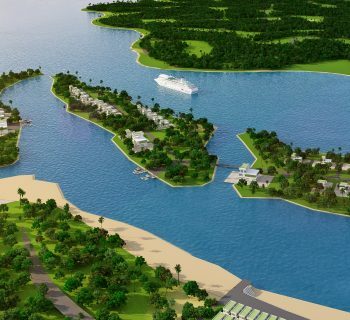 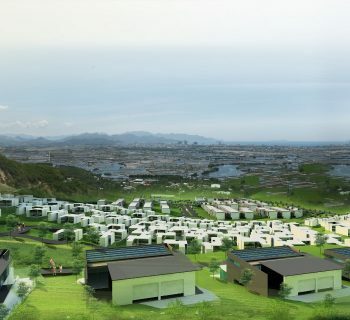 This project is for a local population of 8000 inhabitants plus tourists & foreign residents, living in several islands, surrounded by water, and totally self-sufficient with bio-gas thermal plant, and waste recyclable, to achieve an eco-tourism new city on water. 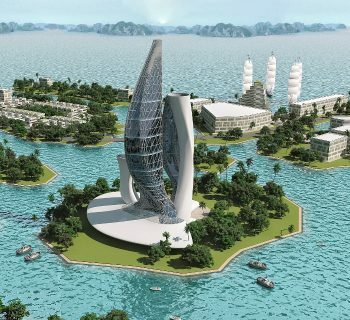 This project won the 3rd Prize.